Robyn Vilate: sick of being sick & a favorite pregnancy look! sick of being sick & a favorite pregnancy look! i had the oh so lucky break of getting sick 3 1/2 weeks before my due date. awesome. i thought i may be able to make it the whole time without having to deal with any sickness but nope. contractions and back pain just weren't enough apparently, let's throw a runny nose and disgusting cough on top of it for good fun. 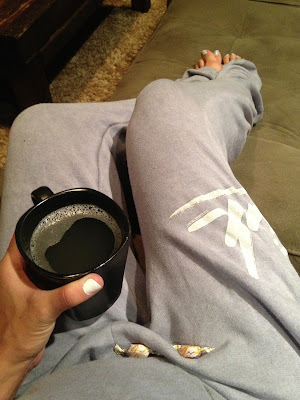 ok, i really can't complain because overall i have felt great, buuuuuuuut- i am sitting here at 5:30 am blogging because sleep isn't happening. so i'm feeling a little vent-ish right now. but i will bore you less with some photos from saturday when i was feeling much better and much less pathetic. just a simple outfit but an absolute go-to for my whole pregnancy! maxi's and tee's should never go out of style, especially a classic john lennon and yoko ono tee! AW! I hope you feel better, soon! Poor thing! Feel better! Look this look on you! Get better cutie! Love Lennon and love how you styled it! 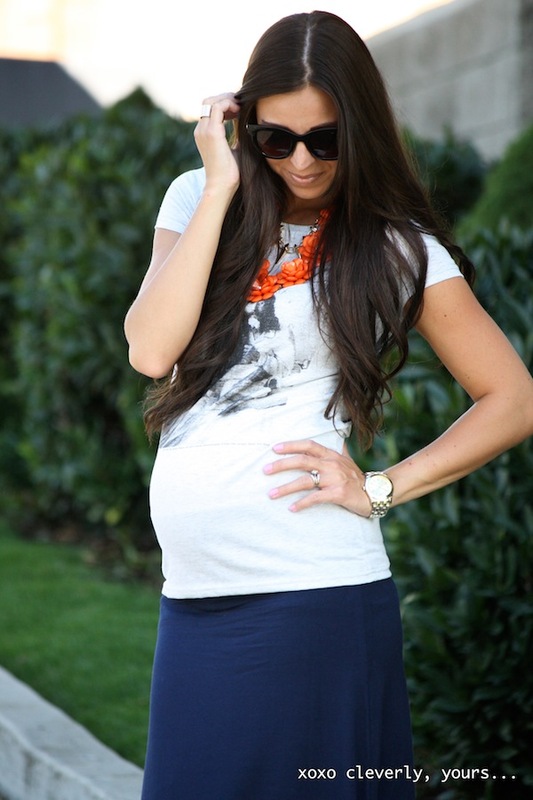 Great maternity look! Feel better soon! and i LOVE that necklace. Gosh I wish I looked as good as you while pregnant. It's so hard to find things & make them look good on me. You are such an inspiration in many ways. On a side note...I love the tee! What size are you wearing? I have to order one!!! Loving the POP of orange in this outfit with your necklace. Navy and orange is a fav combo of mine. Looking great as always. Getting oh so close! Hope you start feeling better! I have to give it to you girl! You make pregnancy look beautiful. You are so lucky to have such a long torso. You are gorgeous! I've had 3 babies, and each pregnancy I struggle with self image. But you seriously make it look beautiful. If only I had control to not eat everything in sight.....HA! So glad you are posting all through pregnancy. Lot's of great ideas! You really are an inspiration to so many of us. I hope you feel the good you are doing and the love in your life, I know it will make you feel better.